I published my Streaming Guide to Short-Lived & Forgotten TV Shows in mid-July and the response was greater than I anticipated. 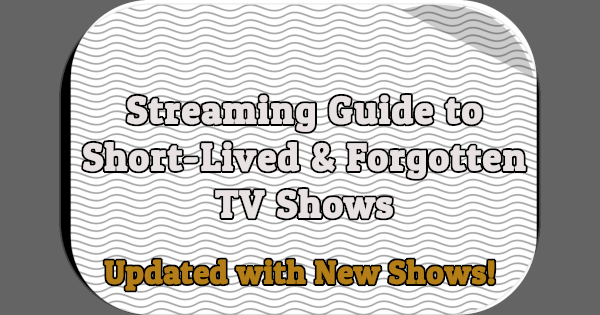 The guide currently covers nine streaming services: ABC, Amazon Prime Video, CBS All Access, CW Seed, NBC, Netflix, Shout! Factory TV, and Sony Crackle. Have I missed any short-lived or forgotten TV shows recently added to streaming services like Amazon Prime, Hulu, or Netflix?